Editors at CNET named the Panasonic VIERA 3D plasma HDTV the “Best of Show” and “Best in Television” at the Consumer Electronics Show this past weekend. The 3D VIERA HDTVs will be available in 50″, 54″, 58″, and 65″ sizes, all four models falling under the TC-VT25 label expected to ship this Spring. 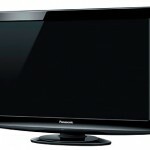 The Panasonic Full HD 3D technology pushes 1080p to each eye, making use of active shutter glasses which sync up with the HDTV via signals emitted from the set. 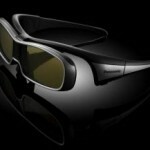 Active shutter glasses (also know as LCD or LC shutter glasses) are a 3D viewing technology which is based on alternate-frame sequencing, where each eye sees a slightly different image than the other. Pansasonic’s 3D TC-PVT25 line models come with VieraCast (for accessing Netflix, Pandora, Twitter, and FoxSports), THX certification, ISFccc mode*, Skype video capability, and one pair of active shutter glasses (presumably the TY-EW3D10 model). The “Best of CES” awards are voted on by CNET and broken down into nine categories which include Gaming, Green tech, Home theater, MP3 and portable video players, Televisions, Computers and hardware, Cell phones and smartphones, Car tech, Digital photo and video.